Congratulations to all our new Kansas State Champions! 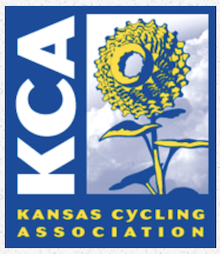 174 riders competed in the 2004 Kansas Criterium Championships held at Corporate Woods in Overland Park, Kansas on June 19. The venue was awewome and we saw a full day of great racing. It was another action packed day of racing at at Heritage Park in Olathe on June 20 at theRoad Race Championships. The road race had 132 riders bringing the weekend total up to 302. Many thanks to all those who helped make this event such a success. Special thanks to Bill Marshall and Chris Hess for getting this organized, all the USCF officials, and to Team X for providing manpower all day.